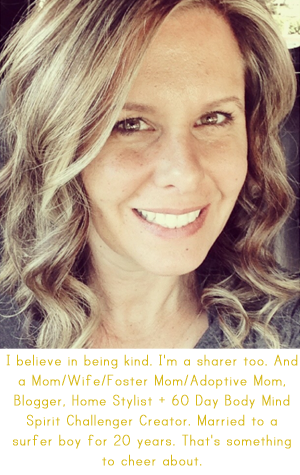 April Kennedy...My Life + My Style: You Will Thank Me That There is No Picture Attached to this Post! You Will Thank Me That There is No Picture Attached to this Post! I'm supposed to be leaving for girls camp this morning. But instead we woke up to the house smelling like Zoe, our little dog, left a nice warm hot deposit somewhere in the house. I couldn't find it but decided it was strongest in Blake's room. 20 minutes later Blake is screaming from his room. Gross stuff coming out both ends...seems like it had been coming out all night and he didn't know it. Slept all in it.﻿ I knew I smelled something. I've spent the last two hours cleaning his bedroom, the bathroom, the shower, the toilet, the floors....and I threw away bath mats, towels, a sheet set. Happy Monday! I did take pictures...but they were for Dave only so I could document that I got the mess of ALL messes. But I did almost accidentally send them to Twitter instead of a text message to Dave because I'm so used to sending quick pics to Twitter. That would have been no bueno. I thought I'd be able to share pics and posts this week while at camp...but Dave needs the laptop and camera. You'll have to beg him to post this week if you want some content. But consider this fair warning....what he thinks is funny and what I think is funny....are two separate things sometimes! 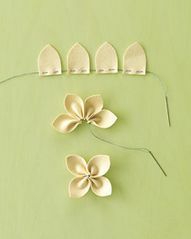 I will leave you with a pretty picture of one of the crafts we will be doing this week at camp.This photo came from Martha Stewart and we will be making them into something pretty. Can't wait to tell you all about it next week! Oh my gosh you poor thing! So not a Happy Monday at all!! I am so sorry. That sounds awful. Have a good time at girls' camp! Oh goodness!! That is so NOT fun!!! Hope you get to head out soon. Have a fabulous time! Oh NO! That does NOT sound like a good way to start the week. Here's to hoping the rest of your mornings this week are FAR less eventful. Have a wonderful time with the girls this week. Oh no! I used to work at a dog kennel & some mornings were just awful when we came in, so I totally feel for you! OH NO! Your poor house. Hang in there my friend, not a good start to the week. On a side note, that little flower thing looks cute, can't wait to see more! the pic you did share, I love it! Happy crafting at the camp! OH NO!! Hang in there, my friend!! ...and have a blast at camp! So sorry for the rotten start to your week. Hopefully it just goes up from here. I mean, it has to, right? Oh man! Good luck! So happy I found your blog by the way :) It is adorable. I found your blog from Mel at Larson Lingo. Sorry to read about your mess!! Those are the absolute worst ones to have to deal with too. Hope he's feeling better now!! Yuck. The fun part of mommyhood. I looked at your camp link. The photos brought back wonderful memories of the week I spent every summer at church youth camp. Anyway, I hope you are having fun (and staying tick free).